T Cross Ranch is not open for the 2016 summer season. It is up for sale! More information on their website. 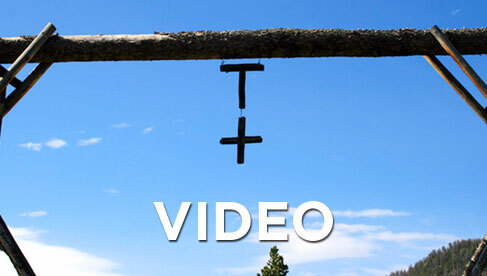 The timeless T Cross Ranch, located in the greater Yellowstone area, has been providing guests with unforgettable all-inclusive experiences for close to 100 years. The country is magnificent, with the Absaroka mountain peaks soaring over 13,000 feet, a pristine wilderness teeming with wildlife. This land has been carved naturally by water, wind, and glaciers. 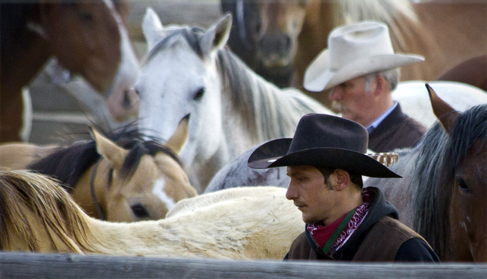 With a string of over 60 horses, there is the perfect mount for every guest. 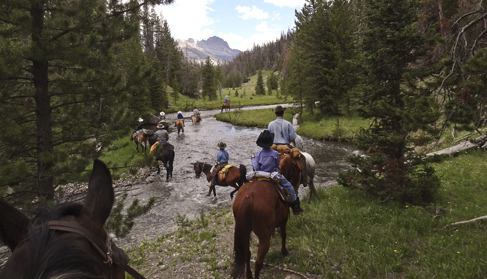 This guest ranch's cowboys have literally thousands of miles on horseback under their belts, and both novice and experienced riders will enjoy the adventure of a lifetime. This is western riding in its purest form, the way it originated, the way few people experience it. 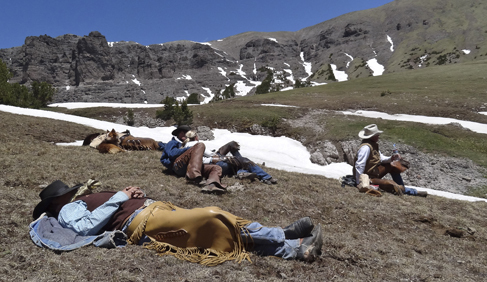 World-class fly fishing, wilderness pack trips, shooting, roping, and cow-cutting are among the other opportunities offered at our historic ranch, which is listed on the National Historic registry. 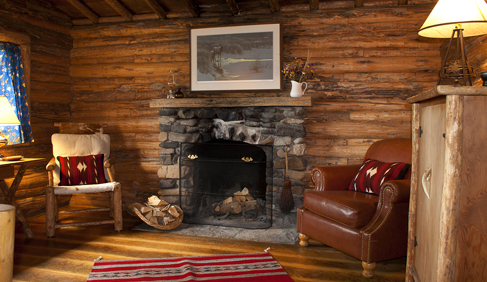 Private log cabins are decorated with a late 19th century feel, enveloping guests in rustic elegance. Furniture is all hand-built and attention paid to authentic detailing, while plush bedding and cozy wood stoves ensure comfort. Located 15 miles from the charming western town of Dubois, the timeless T Cross Ranch offers you an invitation to step back in time to the Old West. 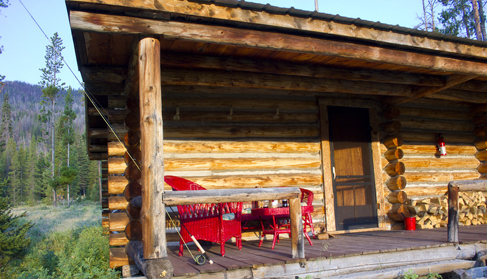 Louis L’Amour, who once wrote “There’s a little cowboy in all of us, a little frontier.” Find your frontier at the T Cross Ranch! Shooting, cow-cutting, roping, Kid’s program, massages, beginning horse riders welcome, BYOH- Bring Your Own Horse, Cattle Drive, Cross Country, eco-friendly adventures, fly-fishing, hiking, hunts, pack trips, riding lessons and clinics, training, spectator events, Western horse riding, tubing down Horse Creek, wildlife viewing, a visit to the rodeo, square dancing in nearby town of Dubois. 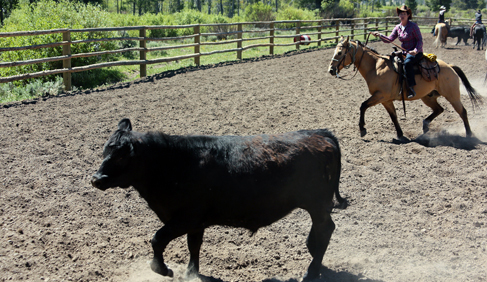 This Wyoming dude ranch happily accommodate special riding requests and will customize riding experiences to suit your individual needs. The T Cross dude ranch accommodates up to 24 guests weekly in 10 rustic cabins nestled in the pines, featuring spectacular views in all directions. Enjoy the mornings and evenings on your private porch. Cabins are decorated with a late 19th century feel. Furniture is all hand built and attention paid to authentic detailing. Plush bedding and cozy wood stoves ensure your comfort. Each cabin includes a private bath, and one or several bedrooms. 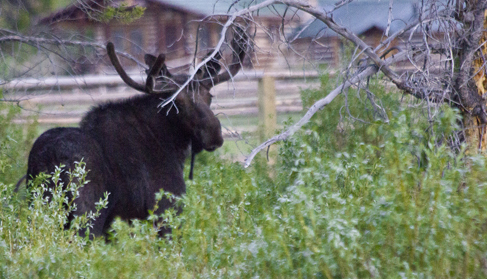 The ranch welcomes couples, families, or single guests. In the evening, relax in the hot tub under a sky of stars. It just doesn’t get better than this! There is Internet at the office only. T Cross cuisine is hearty ranch food with a gourmet touch of elegance. Homemade breads and desserts are specialties, and the ranch owners take pride in our fresh, nutritious menu. Meals are served in the historic T Cross Lodge except for Wednesday supper cookouts on Horse Creek. Meals are a social event at the T Cross, a time to revisit the day’s adventures and plan for tomorrow. Dinner begins with a happy hour for adults at 6:00 p.m. in the Lodge. At dinner, long pants and a collared shirt are a rule. This dude ranch happily accommodate special dietary needs with advance notification. 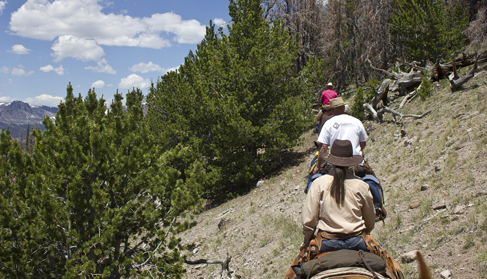 While the T Cross Ranch lies in a remote wilderness, other attractions are a short drive away. The charming town of Dubois is often called the Gateway to Yellowstone as it is located a short drive from the Park's South entrance. 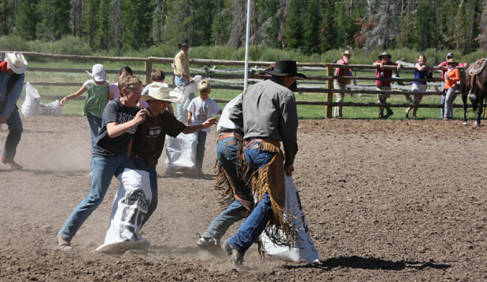 Fifteen miles away from the T Cross, Dubois is one of America's emerging outdoor recreation areas and prime vacation spots, listed among American Cowboy Magazine's Best Rural Towns of 2012. Visitors will delight in its history, scenery, and various outdoor opportunities. A small town in big country, Dubois, Wyoming, is set in the upper Wind River Valley. The town is framed by Butch Cassidy's haunting Dubois Badlands to the east, the stark and stunning Absaroka Range to the north, and the majestic Wind River Range to the south. This little gem of a town is bordered by geography second to none. 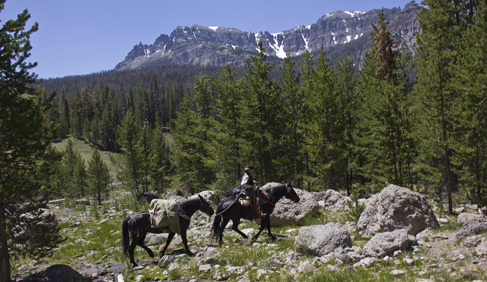 Nearby trailheads and geographic features cast their spell over visitors and locals alike. Dubois lies in the heart of some of the state's best hunting and fishing country, little changed since frontier times. Famous Jackson Hole Wyoming, is a 2-hour drive away through the incredible scenery of Togwotee Pass, descending into Teton National Park. Recreation and adventure opportunities abound throughout the entire region. The T Cross Ranch lies inside the Shoshone National Forest at an elevation of 7,800 feet, surrounded by an untouched country of pine forests and open meadows, trout-rich streams and small lakes, with endless vistas rising well over 11,000 feet—scenically magnificent and only accessible by horseback. Check or credit card. Learn more about dates, rates and itineraries at T Cross website. Travel Agents welcome: This ranch works with Travel Agents.